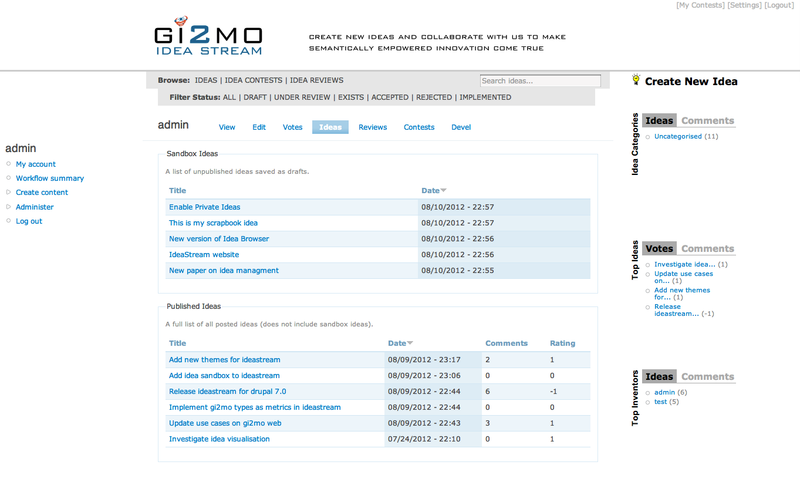 We are proud to bring you another update of our open-source Idea Management platform – Gi2MO IdeaSteam. This time we have new two major features and a bunch of improvements and fixes. Firstly, we added a functionality called “Idea Sandbox”. What it does is to allow an inventor to save an unfinished idea without publishing it. For example, if somebody wants to rethink his submission or add a better version before releasing it to the public, now he can store the idea in the system and come back to it at any time to edit it and publish when its ready. The sandbox is integrated with the Drupal account view, which now shows all published and unpublished ideas of the user. New Idea Sandbox feature in IdeaStream v1.6. 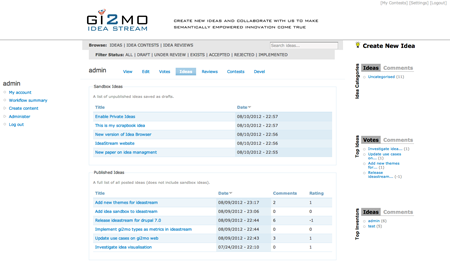 The same functionality is available for Idea Contests and Idea Reviews. Furthermore, to give quick access to the Sandbox we placed a new link at the top of the screen (i.e. “My Ideas”). 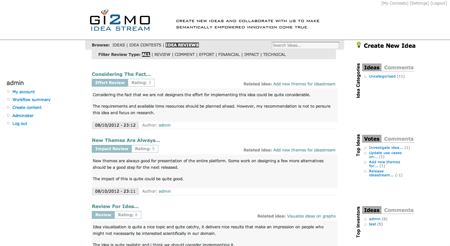 The second feature that we added is support for Idea Reviews in the IdeaStream filter bar. Provided that the user has privileges to view the reviews he will see an additional option to browse the reviews and filter them by type. Additionally, we have improved the Idea Review snippet to make it more clear and in line with the design of Idea and Idea Contest snippets. 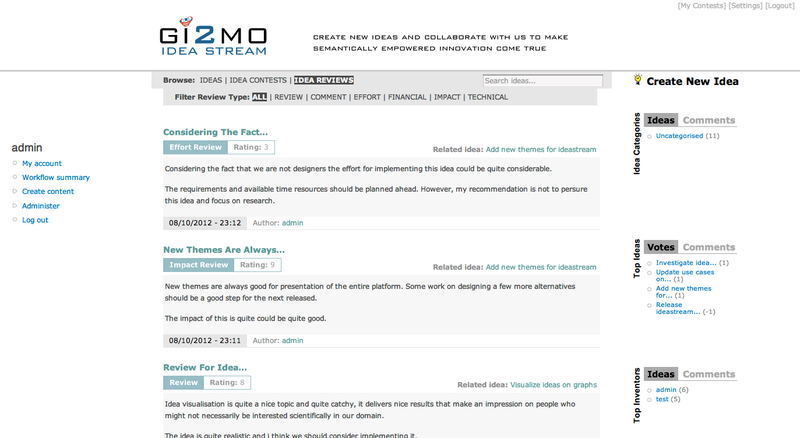 Idea Review browsing and filtering in IdeaStream v1.6. If you would like to test the new IdeaStream v1.6 in action, you can download it directly from the IdeaStream website. For full release notes please refer to the install.txt file that you can find inside the download package. If you are a user of IdeaStream Similarity or IdeaStream Analytics we recommend to update them to the newest versions in order to fully use the new features of Idea Sandbox.